Carpet grass (Axonopus affinis or A. compressus) is a general, all-purpose turf grass. This grass has slow rate of growth and is able to withstand very soggy conditions, according to Clemson University. It is also a good choice for shady areas, making it popular with home gardeners who want a hardy turf for wet, dark areas of the lawn. The coarse nature of the grass, and the fact that it produces seed heads, are negatives for some. Axonopus affinis is a hardy species of carpet grass that thrives in cool, shady areas. It is most often used in the lower and sometimes middle Southern states, according to Texas A&M University. The blades are wide and somewhat hairy, and the grass prefers sandy soil. Because this type of carpet grass can grow even in less fertile areas, it is often used on highway medians, airports and in parks. Axonopus fisifolius is used extensively throughout the southeastern part of the United States, especially in very wet areas. This type of carpet grass thrives near water and is often used for grazing cattle. The blades are tightly interwoven in this grass, forming a very dense mat that is hard for insect pests to severely damage. 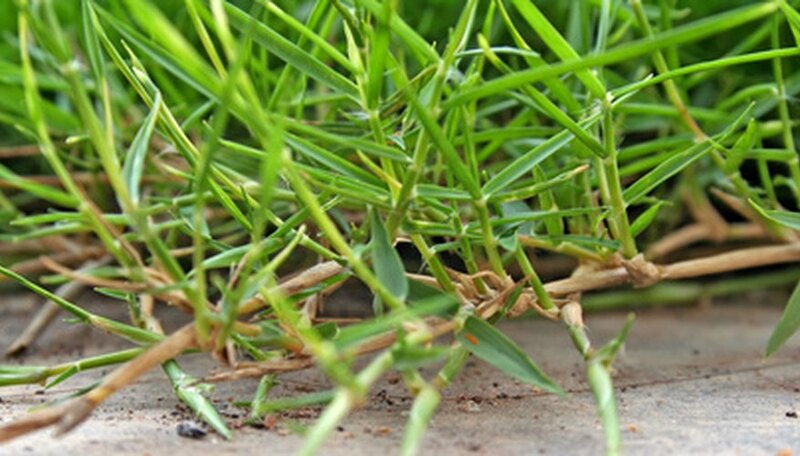 It is also an adaptable grass that is able to grow in different types of soil, according to the Louisiana State University Agricultural Center. Axonopus compressus is the most popular type of carpet grass, according to the University of Hawaii. Native to sandy soils in Mexico and South America, A. compressus is often used to stop erosion, and its ability to grow quickly even in shady areas makes it a popular choice for planting under shade or fruit trees. This type of carpet grass spreads very easily, however, and can invade nearby, desirable grasses and plants. For that reason, A. compressus is sometimes considered a weed.